Obviously, Luffy would never let that happen. He challenges Urashima to a Sumo match, claiming that he’s “super good,” at Sumo. The newly minted “Sumo Aspiring Pirate: Luffy no Umi,” Luffy get attacked by Urashima’s Bodhisattva Palm. Luffy dodges eat attack without difficulty. Urashima uses Ear Crusher and Eye gouger. 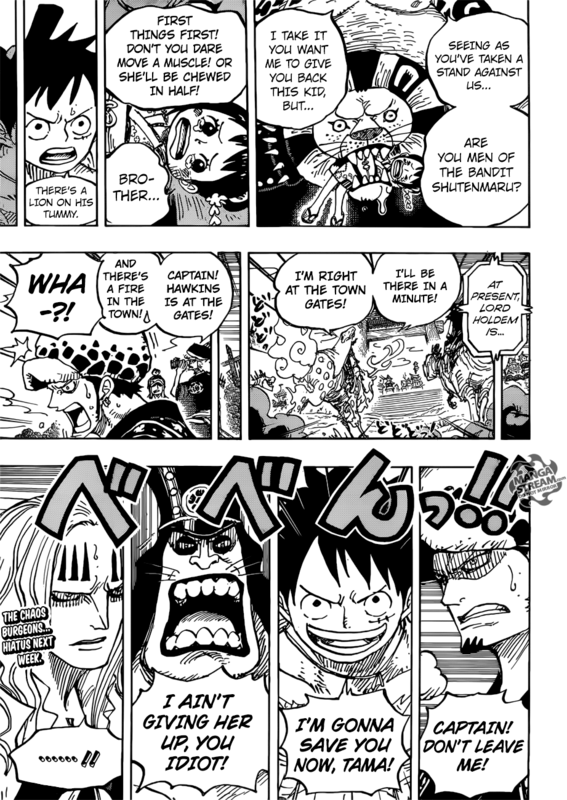 Luffy questions where these attacks are against the rules. 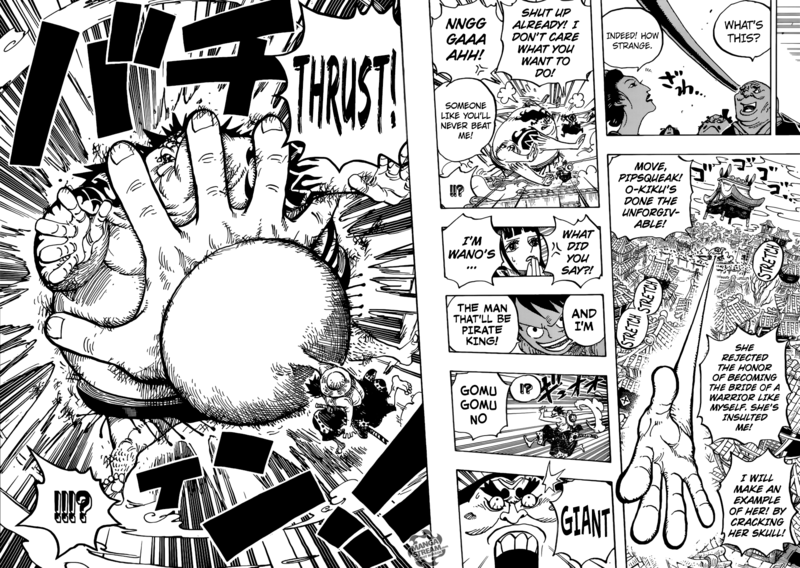 Luffy uses his Gomu Gomu no Giant Thrust on Urashima. This sends Urashima flying, as a massive gust of wind blows over the crowd. Zoro gets outed for being the killer of the magistrate and the crowd assumes that they are “rebels.” They go on to save Tama. Kiku apparently is a bit of a ditz. I don’t like that characterization. She’s a clearly competent Samurai, but I didn’t really by that she was so helpless to make decisions for herself. Anyway, Lord Holdem finally shows himself. Tama is being held with in his lion’s mouth. I don’t feel that Tama’s in any real danger, I’m predicting that she use her abilities to make the lion like her. All this as Law and Hawkins arrive.